Extra thick side walls let the Maxxis "Rizer Kevlar" BMX Tire (foldable) fit perfectly for doing street riding. 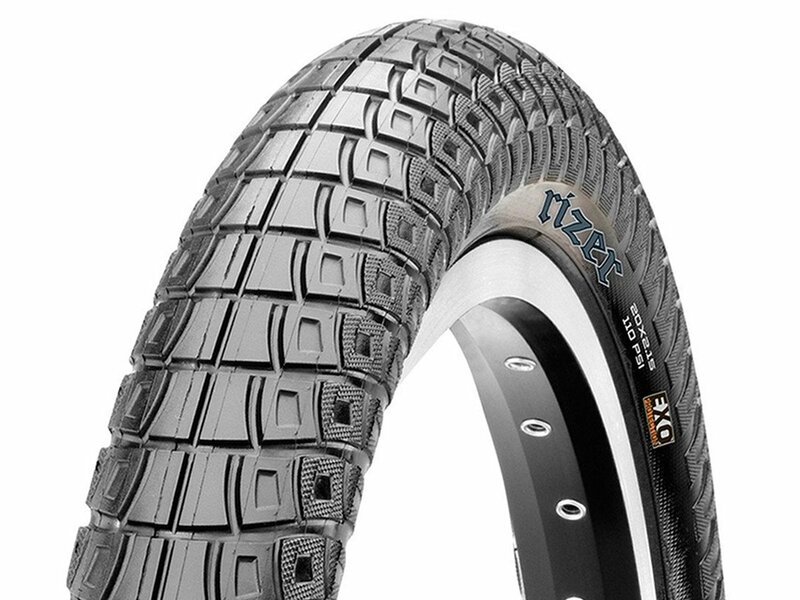 Not too smooth and not too knobby, the Rizer's tread design will take you from the skatepark to the trails with a street session in between. 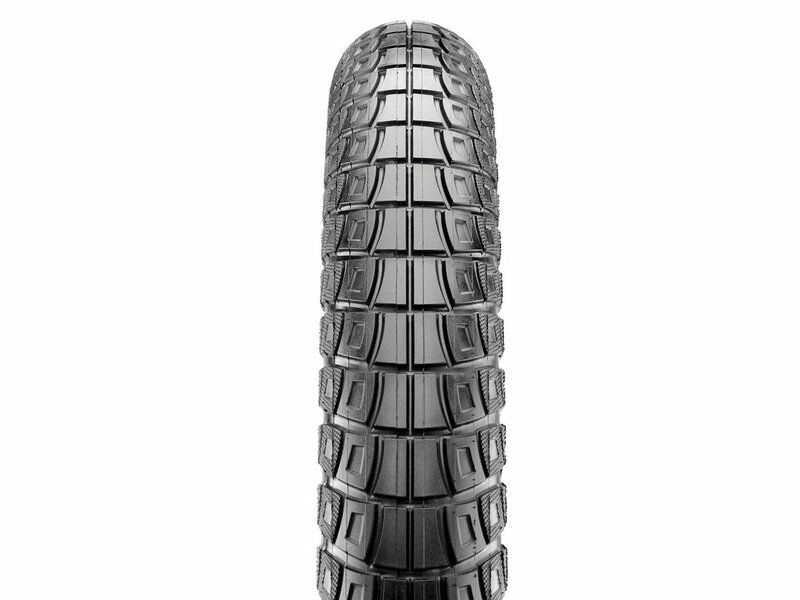 The Maxxis "Rizer Kevlar" BMX Tire (foldable) is very light and foldable by the use of Kevlar instead of wire. With these features, it fits in any backpack and is perfect as a spare tire on the go.